Pope Boniface III (Latin: Bonifatius III; died 12 November 607) was the Pope from 19 February 607 to his death on 12 November that same year. 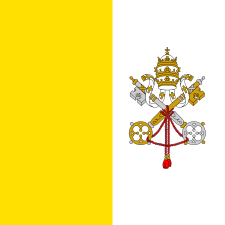 Despite his short time as Pope he made a significant contribution to the organization of the Catholic Church. The son of John Cataadioce, he was of Roman extraction. As a deacon, Boniface had impressed Pope Gregory I, who described him as a man "of tried faith and character" and selected him to be apocrisiarius (legate, essentially the papal nuncio) to the court of Constantinople in 603. This was to be a significant time in his life and helped to shape his short but eventful papacy. As apocrisarius he had the ear of Emperor Phocas and was held in esteem by him. This was to prove important when he was instructed by Pope Gregory to intercede with Emperor Phocas on behalf of Bishop Alcison of Cassiope on the island of Corcyra. Alcison found his position as bishop being usurped by Bishop John of Euria in Epirus, who had fled his home along with his clergy to escape from attacks by the Slavs and Avars. John, having found himself safe on Corcyra, was not content to serve under Bishop Alcison; instead he set about trying to usurp his episcopal authority. Normally this behaviour would not have been tolerated, but Emperor Phocas was sympathetic to Bishop John and not inclined to interfere. Alcison appealed to Pope Gregory, who left the problem to Boniface to resolve. In a stroke of diplomatic genius, Boniface managed to reconcile all the parties while still retaining the confidence of the Emperor. On the death of Pope Sabinian in February 606, Boniface was elected his successor, although his return from Constantinople to Rome was delayed by almost a year. There is much debate over why there was such a long interregnum. Some authorities believe that it was to allow Boniface to complete his work in Constantinople, but the more widely held belief is that there were problems with the election. Boniface himself is thought to have insisted on the elections being free and fair and may have refused to take up the papacy until convinced that they had been. 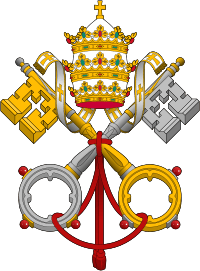 This view is given credence by his actions on being consecrated to the office of Pope. He made two significant changes to papal selections. 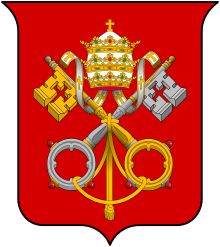 The first was the enacting of a decree forbidding anyone during the lifetime of a pope to discuss the appointment of his successor under pain of excommunication. The second change established that no steps could be taken to provide for a papal successor until three days after a pope's burial. This suggests that he was serious in his desire to keep papal elections free. His other notable act resulted from his close relationship with Emperor Phocas. He sought and obtained a decree from Phocas which restated that "the See of Blessed Peter the Apostle should be the head of all the Churches". This ensured that the title of "Universal Bishop" belonged exclusively to the Bishop of Rome, and effectively ended the attempt by Patriarch Cyriacus of Constantinople to establish himself as "Universal Bishop". Boniface III was buried in St. Peter's Basilica, Rome, on 12 November 607. 1 2 3 4 5 6 7 8 Herbermann, Charles, ed. (1913). "Pope Boniface III". Catholic Encyclopedia. New York: Robert Appleton Company. This article incorporates text from a publication now in the public domain: Herbermann, Charles, ed. (1913). "Pope Boniface III". Catholic Encyclopedia. New York: Robert Appleton.